A simple, yet flavorful, corn salsa with red pepper, onion, and plenty of cilantro. We'd had Cilantro Lime Corn not too long ago, and now we wanted something similar we could eat like salsa. We started off with just some corn kernels, cilantro, and lime. I wanted a bit more color, so in went the red peppers. Then thinking about most salsas we like, I went ahead and threw in some onions. 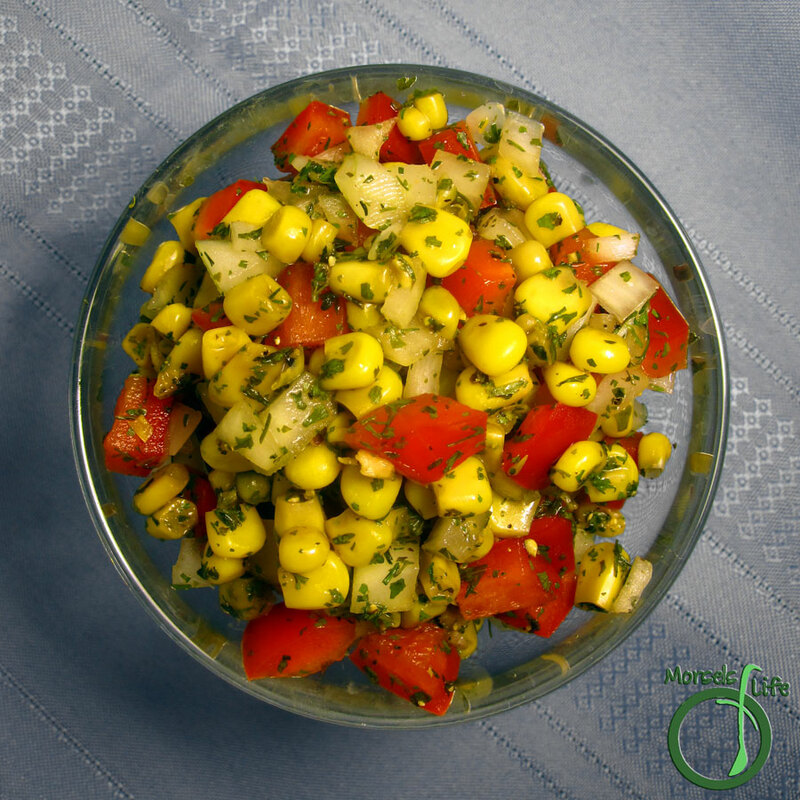 Mix everything together with just a bit of garlic, and you've got one fresh, flavorful corn salsa! Plus, it takes a whole 5 minutes to make. You just can't beat quick, easy, and flavorful! What's your favorite kind of salsa? Combine all materials and mix well. Yum! We like to add blackbeans to ours and sometimes mango or pineapple. We get really creative with our corn salsa :). I love cilantro, so this should be delicious! I love corn salsa. I wish I could eat it more often. I also like to put black beans in mine. Thanks for linking at #stoptheyuck and I hope to see you again this week.